Welcome to the Studio Scrapping with Amy Freebies page! I invite you to download these Photoshop files and watch the corresponding tutorials so that you can get the most out of these freebies. I also encourage you to visit my Facebook page and post your artwork using these free files. I can’t wait to see what you have done with them! The ArtbookingDisplayTray zip file contains three files. The first is the original design shown below. I also included the file I used for cutting all my pieces so you don’t have to drag them around. The final file is the grass welded together on a 12″x24″ mat. If you are new to Cricut Craft Room, be sure to watch the video tutorial. I cover working in layers using tabs, modifying tab names/colors, linking cartridges, using shapes from multiple cartridges, modifying an image, linking/unlinking aspect ratio, and flipping an image. I hope you have a chance to use this file. I would love to see what you create, so post your photo or blog link to the Studio Scrapping Facebook page.I also ask that you not distribute these files. If you have friends that would like them, please send them here to download the files. As always, a link back or mention when you post your project online is appreciated! Be sure to visit the original blog post to view more close up photos of the final project! 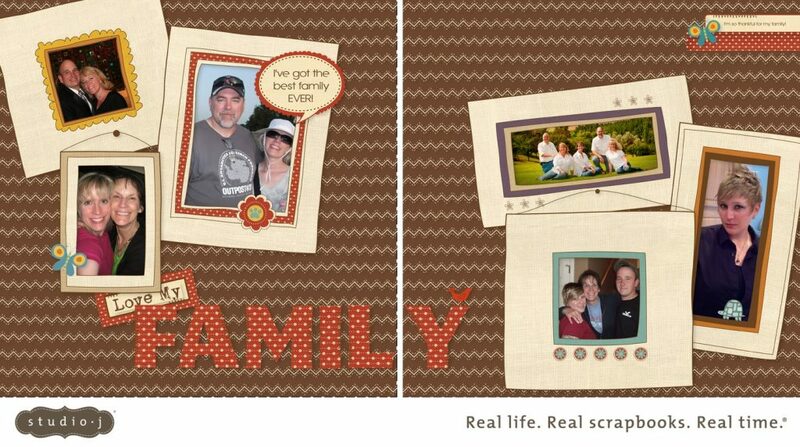 The StudioScrapping_TrueFriendFrames zip file contains two layered Photoshop files for use with the frames in the exclusive True Friend kit. Simply drop your photos into the mask and save as a PNG file. Upload the new PNG into Studio J and drop each side into the No Limits pattern to create this fun tribute to your family or favorite pet. UPDATE: Studio J now allows us to add photo wells anywhere on the page. As a result, this layout can now be easily created right inside Studio J with no need for Photoshop. 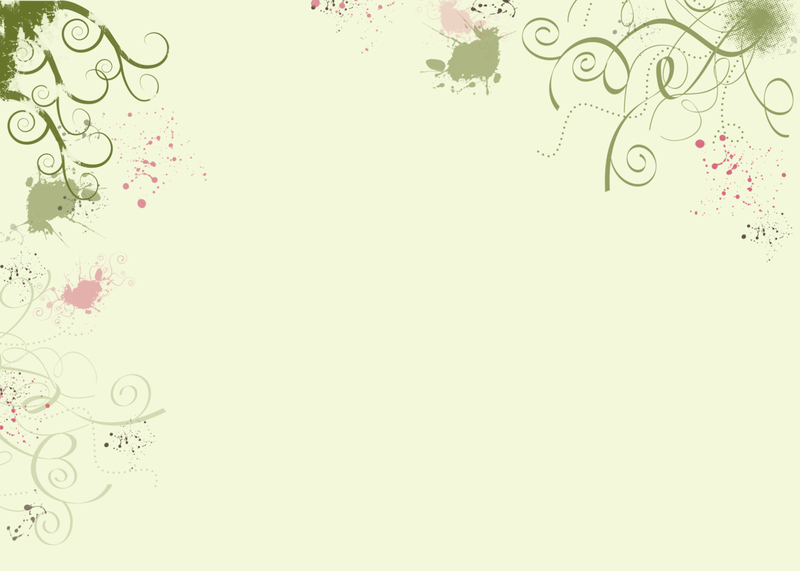 I’m leaving this file up in case you want to use it with your other digital scrapbooking supplies. As always, visit Studio Scrapping with Amy on Facebook to post your artwork. I love to see what you create with these freebies! The ssCirclesGraphPaper zip file contains one layered Photoshop file. Simply drop your photos into the mask and save as a PNG file. Upload the new PNG into Studio J and drop it onto one side of the No Limits pattern. I added Roxie paper to text boxes and sent them behind my photo. 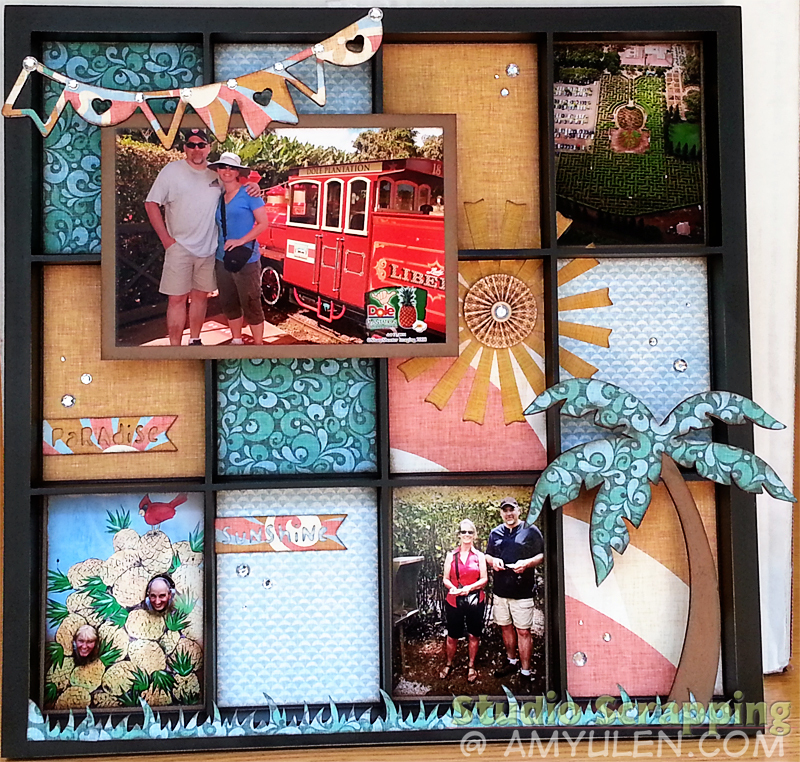 Add a few embellishments on top and you have a fun and funky layout! 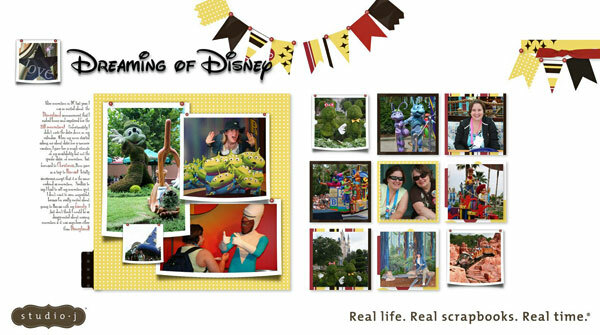 The Dreaming of Disney zip file contains the Dreaming of Disney title, the 4 photo frame collage, and one 2.5″x2.5″ photo frame to create the two images on the right side of the page. This was my first attempt at creating this type of bent photo frame, and I think I need to make the drop shadows a little darker. Well, live and learn. These are good enough for now, but check back for future uploads as I’m sure I’ll get much better as I play around with Photoshop. If you want to make your own title, you can download the Waltograph font from dafont. All designs are created by Amy Ulen unless otherwise noted. Amy Ulen owns all copyrights to personally created graphics and is providing them here for your personal use. Modify, resize, recolor and otherwise use these files for PERSONAL use only. 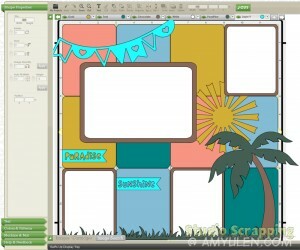 Post your layouts in any gallery with proper credit given to Studio Scrapping with Amy Ulen. Claim my designs as your own or alter the graphics to create derivative work(s) and then claim them as your own. Share or redistribute these graphics in any way, shape, or form at any time. Use these files for commercial gain without my permission. Thanks for abiding by these terms and for respecting my artwork and time. If you have any questions or comments, you may contact me at studioscrapping@amyulen.com. For latest news and updates, visit my blog at http://amyulen.com. Enjoy your downloads!